Remember back when you were little.you know, back when tall to you was about as high as a mailbox? In those days, Disney animated films (e.g. `Lion King' and `Beauty and the Beast') were some of the coolest things out there and were movies to watch over and over (much to your parents' chagrin). 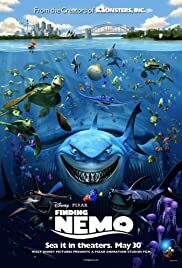 Now, animated movies aren't exactly the `coolest' things to see, but an exception can be made for the uber-hip Pixar movies, the most recent of which being `Finding Nemo'. After losing all but one of his brood, Marlin (Albert Brooks) an over-protective clown fish that strangely lacks a sense of humor, has resolved to protect his one (slightly disabled) `child' remaining, Nemo (Alexander Gould). But disaster strikes as Nemo is taken by a Sydney dentist and plopped into a fish tank where he is comforted by a host of other captive fish (William Dafoe, Vicki Lewis, Allison Janney, et al). But back in the big ocean Down Under, Marlin has resolved to search out his one remaining progeny. Along the way on his quest, Marlin acquires a tag-along `friend', Dory (Ellen DeGeneres)-a fish with, well, the memory capacity of a fish. The two must surmount hurdles like a group of sharks (Eric Bana, Barry Humphries and Bruce Spence) that have (mostly) sworn off eating other fish, a nasty swarm of jellyfish, a bird-brained flock of seagulls, and others. This is the bridge! Well, in a way. Back when I was younger, one of my favorite films was `The Incredible Mr. Limpet', which, for the uninitiated, combined live-action with under-the-sea fish animation. What Pixar has done here was bring back that film to my mind and start me thinking, because they have created a wondrous undersea environment (with `normal-looking' fish instead of 1960s animated fish). My favorite feature in this movie chock-full of sweet treats must be the sharks. I have always been partial to the shark family, but what has been done in creating three humorous sharks (what a movie concept), just sent paroxysms of laughter through me. Another thing that (mostly) works is Ellen DeGeneres' fish (character?) that provides a fairly constant source of laughter with her antics (although a couple gags do wear on the viewer with time). On the whole though, there is not a single bit of shoddy voice-acting or animation in it. Compared to `Monsters Inc.', `Finding Nemo' is something of a revival for Pixar. I like how they have stepped up their efforts to make an altogether pleasing film without any big flaws. The thing that I did not like with `Monsters' was the inclusion of a single key (but EXTREMELY annoying) character. Director Andrew Stanton has done an excellent job at making the film work and be (basically) non-annoying to most of the general public (and this critic). I suppose life has come full circle-now that I am (relatively) old as a high school graduate, animation is cool again, thanks to high-powered computers, at any rate. 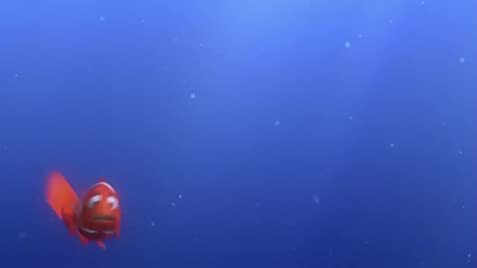 `Finding Nemo' is one heckuva movie and a good one to take anyone you know to, trust me on this-nine out of ten. 65 of 82 people found this review helpful. Was this review helpful to you?